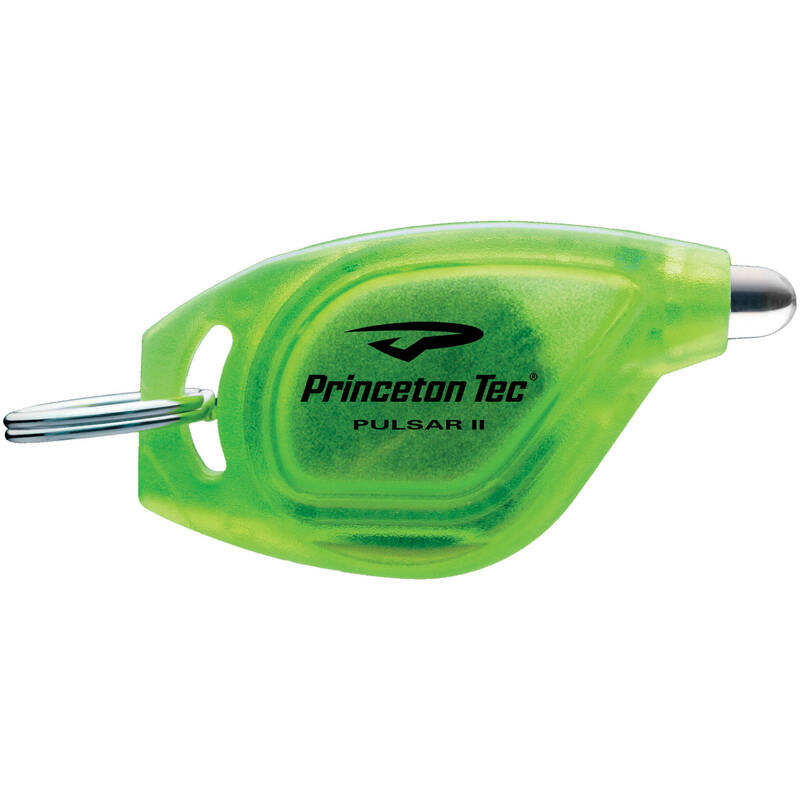 The neon yellow case Pulsar II LED Flashlight from Princeton Tec features a white bulb and is a water-resistant compact light, measuring only slightly larger than a quarter. Using an Ultrabright LED bulb, the Pulsar II can brighten your surroundings for up to 12 hours. Illuminate your surroundings by squeezing the light's body, or use the on/off switch for constant hands-free illumination. Box Dimensions (LxWxH) 3.8 x 3.0 x 0.6"